Don't let your insurer have the last word on your car's actual cash value when there's often room for negotiation. Learn about ACV vs. replacement cost. In insurance terms, actual cash value is generally defined as the amount an asset is worth minus any depreciation. However, the actual application of this calculation is somewhat more complicated. When you purchase a car, the moment you drive the car off the lot it depreciates in value. Even if you were to decide to turn around the sell the car for some reason the next week, the car is still lower in value than the purchase price. This is part of what is taken into account when insurance companies calculate actual cash value. Other factors include the age of the car at the time you make a claim, the amount of miles driven on the car and average wear and tear to the car. In addition, if there is unusual damage to the car this also may be taken into account. The older a car is, the lower the amount of the actual cash value. Actual cash value will always be lower than the amount of your car loan, especially if you purchased the car brand new and have financed it for several years. All of this information is taken into consideration in actuarial databases that compile information on which an insurance company bases what it offers as the actual cash value at any point in time during the life of the car when you make a claim. As you can see, the actual cash value is usually nowhere near what it costs to replace a car. If you have a major accident and the car is totaled, the cost to turn around and purchase a new car will always be higher than what your old car was worth at the time of the accident. Replacement value is an option for car insurance that addresses this problem. Instead of choosing the actual cash value option, choose coverage that provides for replacement value. In many cases, not only is payment provided to purchase a new car, but additional expenses like sales tax, title and transfer fees may also be included, although you may have to ask for these expenses to be included or covered. Replacement value car insurance is certainly much more expensive than accepting actual cash value coverage. However, for many people, the added premium is well worth it when they consider the expense of replacing their vehicle. How Is the Actual Cash Value Determined? One of the ways the value of an asset is determined is to calculate or decide what the replacement cost of a car would be, then deduct an appropriate amount for the age and wear of the car. By definition in court cases, the replacement cost is described as "the entire cost of complete repair or replacement of an asset--taking no deductions for depreciation." This indicates clearly that the replacement cost is higher than Actual Cash Value. So the replacement cost is calculated, then deductions are made to arrive at the actual cash value of an asset such as a car. Sometimes this definition favors the insured, and sometimes the insurer. For example, imagine a car with an estimated value of $14,000 is destroyed in a tornado. The insurer has defined the actual cash value as the cost of replacing the car minus deductions for age. Replacing the car often costs more than the car it is worth at the time, particularly if it had high mileage or a great deal of wear. The cost of new cars goes up over the years, and cars always depreciate over time. If the replacement cost is higher than the car is worth on the market--say it costs $20,000 to replace with a new car--then the insurer ends up with a higher settlement using the replacement cost method to determine actual cash value. The simple definition of fair market value is "what an interested buyer is willing to pay a seller interested in selling." This seems fairly direct, but there are complications in its determination, as is common in insurance issues. Fair market value can be tricky to determine when it comes to unusual or unique objects. It is sometimes difficult to determine what the market price is for particular vehicles, especially those that hold their value particularly well, are collector's items, or sports cars. Note that auto insurance pays the actual cash value for any vehicle. As with other depreciating items, in most cases it makes little difference whether they calculate this value using the replacement cost minus depreciation or the fair market value. The amount will be similar. This is important to remember, particularly with new cars, since you can easily owe more on a car loan than the insurance company will pay you in a settlement, and you will be left making up the difference. Knowing your insurance policies and their provisions for actual cash value on damaged assets can be valuable to you. Remember that in a loss, you may get much less from the insurance company than it costs to replace your property. Here are some tips for helping drivers to figure out how to get a decent deal from an insurer. Find out about actual cash value. The term itself just refers to how much a vehicle is worth in sale, but it's the way actual cash value is used that leads to some problems with negotiating a fair deal when you need to collect from an auto insurance company after a wreck. Figure out how your insurer defines actual cash value. Part of the problem in negotiating a good actual cash value for a vehicle is that each insurer uses their own proprietary methods to get what they give you as ACV. In order to provide your own counter-estimate, you'll want to know as much as possible about how they came to their figures. Use online car valuation sites to get a good actual cash value estimate. Online car value sites provide solid, well defined, and commonly recognized value estimates for nearly any vehicle on the American roadway. Take a look at sites like the Kelley Blue Book company site to get what many would consider a fair resale price for your vehicle. Look for local examples in classifieds or elsewhere. Another way to provide solid valuation evidence is to look for ongoing deals from local dealerships for used cars similar to yours. You can use the sale prices offered by the dealerships as an indication of actual cash value for your vehicle. Include information on features and other value conditions. Low mileage, excellent interior and exterior condition, and handy features should be pointed out to your insurer as "value points." Make sure they know about features that you have added to your vehicle after purchase, such as enhanced sound systems, that may add value. Stay involved. Negotiating actual cash value, just like a lot of other insurance documentation, is mostly just the process of communicating and staying in touch with the insurer to eventually wrangle out a deal. Those who give up easy will find themselves settling for the lowest possible value and partial payouts from insurers who are slow to comply with their responsibilities in the event of a claim. Take advantage of these simple steps to claim what's yours in a situation where you find your insurer has miscalculated the actual cash value of your vehicle. How Do Cash Value Loans Compare to Regular Loans? Cash value loans compare to regular loans in a couple of different ways. Cash value loans are almost identical to regular loans because they both calculate an interest rate, how much money is needed, and whether or not the borrower is approved for the loan. Should you take a loan against your automotive insurance policy, whether it is a cash loan or a regular loan, you will need to pay the total amount of the loan back to the insurance company with interest. If the loan is not paid back by the time you die, then the remaining value and interest will be deducted from the death benefit of your life insurance policy. Does Actual Cash Value Include Taxes? Depending on which state you purchased a new car in, your actual cash value will include taxes, but in some states it will not include taxes. Actual cash value will always be lower than the amount of your new car loan because as soon as you drive off of the lot with the car it depreciates in value. Your car continues to depreciate, lowering its cash value, depending on the age of a car when a claim is made, how many miles have been driven using the vehicle, and the average wear and tear of the vehicle over the time it is owned. Is Car Loan Value Different than Actual Value? Your car loan value will always be different than the actual value of your vehicle. This occurs because of the vehicle's depreciation. A vehicle depreciates as soon as it is driven off of the car lot. The value of the vehicle reduces even if the owner decides to sell it a day or a week after it has been purchased as brand new. Even if the buyer wants to return the vehicle for some odd reason, he or she will not get all of their money back because it is now considered a used vehicle. It does not even matter if five miles have been put on the odometer. Where Can You find the Actual Cash Value of Your Car? You can find the actual cash value car price by doing some research online or visiting a local dealership. Online tools like Kelley Blue Book and Black Book provide actual cash values for cars. The actual cash value, also referred to as the ACV, is equivalent to the trade-in values listed on these web-based tools. You can also get the actual cash value of your vehicle by visiting a local dealership and asking for an appraisal from the used car manager. Simply ask the manager how much they would pay for your car if you were to sell it directly to the dealership. Is an Accident Total Loss the Same as a Totaled Car? An accident total loss and a totaled car are terms that are used interchangeably with each other. A vehicle is considered a total loss if it would cost the insurance company more money to repair the vehicle than its fair market value. The salvage value is also factored into the equation. A vehicle could have sustained only minor damage in an accident, but due to the amount the insurance company determined as the fair market value, it would still be considered totaled or a total loss. What is the Difference Between Actual Cash Value and the Replacement Cost? Actual cash value and replacement cost differ in that with actual cash value, depreciation is a factor in determining the value of the totaled vehicle. Some have defined actual cash value as the fair market value of a vehicle or the amount you would be expected to pay if the vehicle was purchased from a seller today. The insurance companies define it as the cost to replace a totaled vehicle with a new vehicle but subtracting the depreciation. Replacement cost is the amount of money it would take to replace the vehicle with a comparable vehicle without regard to depreciation. What is the Best Source for finding the Actual Cash Value of a Car? There are several sources for finding the actual cash value of a car. This information is an important tool in assisting you in determining whether the insurance company's settlement is fair. The most frequently used sites for assisting with this information are, Kelley Blue Book, Edmunds, and NADA Guides. Before you go to any of these sites, you need to do your homework. Take note of your vehicle's overall condition and any major improvements such as a new engine, transmission, or tires. Document the vehicle's mileage, body condition, and condition of the interior. What is Required to Make a Total Loss Claim? There are some requirements to be met in order to make a total loss claim. First, you need to make sure a police report is taken. Insure that any inaccuracies are cleared up before you sign the report, and do not exaggerate the facts. Make a call to your insurance company as soon as possible so that they can set your claim in motion. You should document your recollection of the events of the accident as soon as you are able to. You can do this either by writing it down or via a voice recording. How do Car Insurance Companies Determine Estimated Car Value? Estimated car value is determined in one of three possible ways by an insurance company. The first is the experience of the adjuster. Over time, an adjuster will gain a feel for the value of a vehicle and can use certain telltales such as overspray on body panels. Also, the lack of original VIN plates on the pieces of the car, such as fenders, to place a value on it. One has also looked at the second piece of the puzzle, KBB.com (Kelley Blue Book) where the adjuster will plug in all the equipment included in the vehicle. Plus, any other equipment that may have been tacked on. Then, they will run a KBB analysis, using the "trade-in" value to determine the fair market value of the vehicle. The third method, is to use a laptop to query the vehicle's computer system. Review the information readout. Then, using templates from the insurance company, determine the value of the car. How do You Determine Your Wrecked Car Value? You do not determine the wrecked car value of your vehicle, under any circumstance. The determination of the wrecked car value is left to the company's adjuster who is the insurer's official arbiter on the ground. Indeed, in determining the wrecked car value of your vehicle, the adjuster runs some special software on a laptop computer that they keep in their car. This software takes into consideration things as the frequency of service, the parts used, and the intervals the car was serviced. This could have a direct bearing on the ultimate value they place on your vehicle. Can You Determine Car Value on your Own and Use that for Insurance Companies? Yes, you can determine car value on your own by consulting an online version of the Kelley Blue Book, one of the bibles of the auto industry. It is one of the most reliable sources to check the value. Using the trade-in value of your car, you can determine the value that will be placed on it. While you can recommend that your agent or company to use the value you have found for your car, the insurer still must find the value themselves. 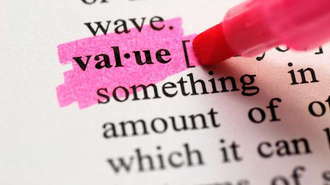 Any values you find are not considered official to the insurance companies. Where can I Use an Actual Cash Value Calculator for My Auto?